WalkedThru is a specialist blogging community contributed to by professionals in their respective fields. Our resident professional would talk about everything from the equipment and software he uses, to common industry problems, like overexposure, through to general photography tips and advice. Information that is helpful, entertaining, constructive, comprehensive, motivational and inspirational to any budding photographer or enthusiast. We plan to build a community brimming with blogs like this; subjects ranging from history, to sport, to places, to fashion, to hobbies, to books, to everything in between and beyond! That is informed by professionals. We think that blogs are not just a great general interest read, but more so a fantastic medium in which to educate, inform, entertain and enlighten. 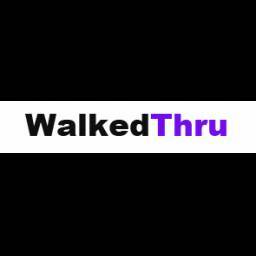 WalkedThru grows by adding professionals/enthusiasts, who have particular expertise in a particular subject, to it’s budding community of blogs. The more Walkers we have, the bigger the WalkedThru community will be and the better the source of information will be for the curious web surfer. Today’s wine comes to us via The Wall Street Journal Wine Club. It is priced at $20.00 per bottle or $238.00 for the case through the club. I am surprised a bigger discount is not offered but this may be fodder for a future post…. William Knuttel is renowned for his work as winemaker for premium California wineries such as Chalk Hill, Dry Creek and Saintsbury. He was also President of the Cabernet Wine Society from 1999-2003. All this before branching out with his own namesake product line. This particular Cabernet spent two years in french oak barrels prior to its release. It is unfiltered, a factor I tend to appreciate in my wines but could understand where others could feel differently. Upon decanting I noted strong wood [cedar] on the nose along with tobacco. Fruit detected was slight; dark fruit possibly opening to red fruits as it immediately began to breathe. At tasting I was pleasantly surprised by the strong red fruit taste [strawberry, red cherry]. The heavy wood on the nose took somewhat of a backseat to the fruit on what I would describe as a dry, tannic heavy wine with a lengthy acidic finish. The experience and my purple tongue reminded me of a Bordeaux before opening completely. The WSJ website suggests decanting for an hour prior to serving but as my notes below suggest; 2 hours would not be an exaggeration. @ 30 minutes – Nose softened but wood still overtly in existence, fruit opening but reservedly so. @ 60-90 minutes – Notable softening on nose and palate; tasty. @ 2 hours – Jammy. I am so glad that I was able to continue recording my notes throughout the night. It was truly amazing to see this wine come to life and change in ways that sometimes just doesn’t happen with a wine although I also have to admit we do not usually sit down for a 2-3 hour wine experience at home. Huh, maybe we should 🙂 . This wine was delicious from start to finish but SMOOTH at over 2 hours. If I would not have lasted to this point it would have been my loss and I would have written off this wine as good but overly woody [barreled too long?]. Having made it though I must admit that I would buy and better yet experience this wine again. Note to self; Decant! Enjoy long suppers! Stop and smell the wine grapes! ¡SALUD! Vendor notes: We’d suggest you decant an hour prior to serving to allow those complex flavors time to breathe. Deep ruby. Aromas of black cherry, cedar and blackberries with hints of red licorice and classic cigar box. Fine-grained tannins, smooth finish — dominated by dried cherry, cassis and vanilla.